York has and always will be one of my favourite places to head for a day out in Yorkshire. 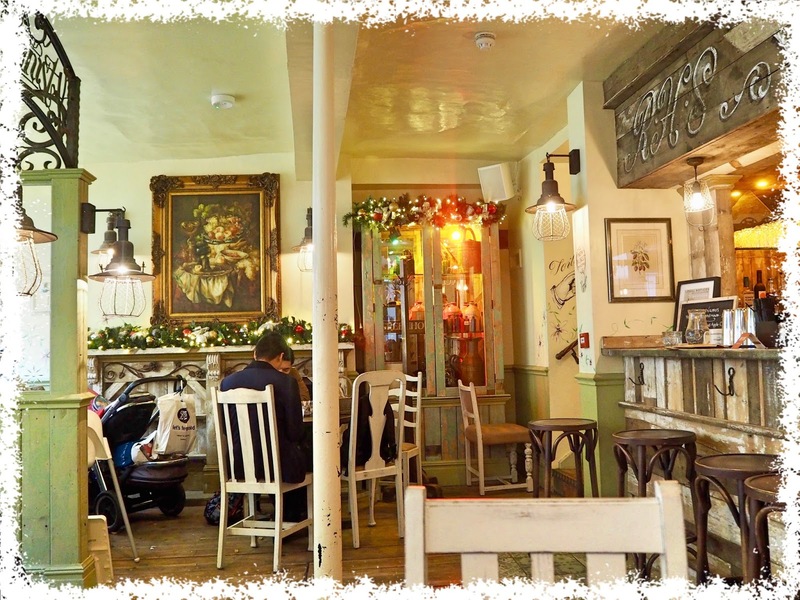 Not only is it steeped in heritage, it is also filled with hidden gems, great places to relax and just a few weeks ago The Botanist opened it doors there for the very first time. 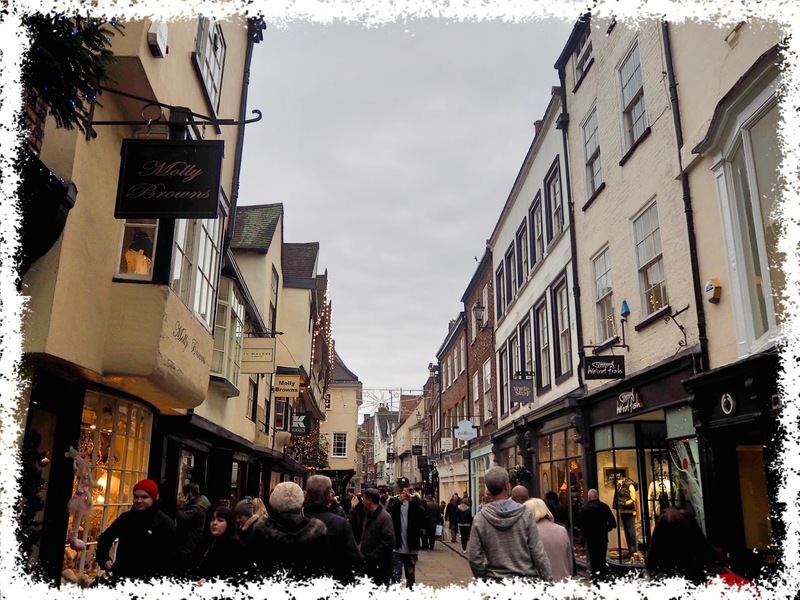 With just one holiday day remaining to fit in before the Christmas break, I decided to take a long weekend, head up to York to finish our Christmas shopping and of course visit The Botanist whilst I was there. Hidden away on Stonegate, The Botanist blends into its surroundings beautifully with it’s trademark new world meets old world style. 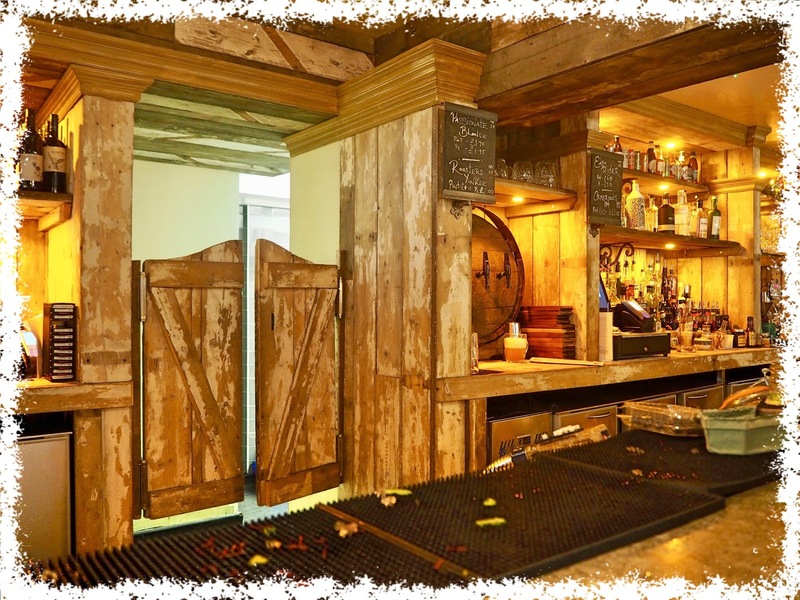 Unimposing from the outside, once through the front door you are greeted with an old saloon style bar with just a few table and plenty of space to prop up the bar if your hear desires. One thing I love about all of the venues under the ‘The Botanist’ brand is that they are all slightly unique in their own way and that the attention to detail in each one is second to none. Maybe its because it is still ‘the’ new location in York to eat, or maybe it’s because of the festive season, but the restaurant (located behind the bar) was filled to the brim with a minimum wait of an hour for a table so I would definitely recommend pre-booking if you want to eat here. However, if you’re happy to you can eat in the bar area too like we did. One thing I noticed straight away as soon as we stepped inside was how the fresh scent of Mulled Wine filled the air and who could say no to a warming mug of this festive brew in the week before Christmas? I’m not usually much a Mulled Wine fan and find the taste of Cinnamon and Cloves a little overwhelming but the blend here is so perfect that the spices add a subtle flavour instead. Food at The Botanist is never bad and one of their most renowned dishes is the hanging kebabs that they offer all year round. 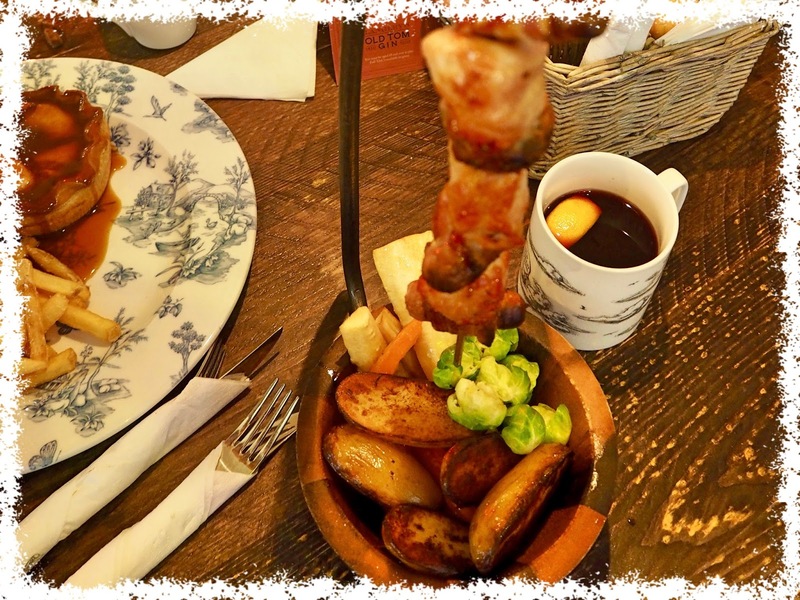 I opted for their seasonal special which turned out to be a full on Christmas Dinner with Cranberry Glazed pieces of Turkey, Pigs in Blankets and Stuffing hanging on a Skewer above Roasties & Vegetables. Delicious in itself, the piece de resistance of this dish is the little pot of gravy that you pour into the little tray above the kebab and that then drizzles down the kebab and onto the veggies. Despite the bar being bustling the service and food was amazing and we left feeling satisfied, happy and eager to return. York is one of my favourite places because of its old world feel and I hate it when brands disregard this and impose themselves on their surroundings, The Botanist doesn’t, it hides itself away and blends in beautifully. Brave New World Trading Company, bravo.